amanda mcclements & metrocurean: Ask Amanda: Rehearsal Dinner for 50? Ask Amanda: Rehearsal Dinner for 50? A private event at the Southern-flavored Art & Soul. I'm finalizing plans for my DC wedding this fall and wanted to see if you had a good rehearsal dinner restaurant recommendation? We'll have around 50-75 people, including lots of people from out of town. Congrats on your upcoming wedding! A few of my top recommendations for a party that size include: Bibiana, where the private room seats 48 or 80 for a standing reception, Equinox, where the atrium seats 55, or the courtyard at Poste in the Hotel Monaco, with lounge seating available for up to 200. For an Asian spin, ask about booking part of the dining room at The Source by Wolfgang Puck. And the Southern flavored Art & Soul on Capitol Hill can accomodate about 50 seated guests in its private room. For slightly smaller dinners, check out this Metrocurean list of perfect spots for graduation dinners and another on great rehearsal dinner spots in DC. Open Table also has a great list of private rooms in Washington, DC, with capacity helpfully noted for each spot. And remember, if the price is right, a buy-out of your favorite restaurant is often possible. 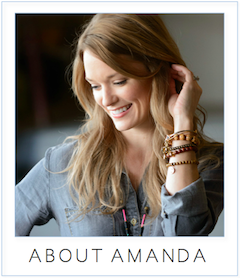 Have a question to Ask Amanda? Email her at metrocurean AT gmail.com. * Where to Buy Burrata? * Where to Buy Duck Fat? We had an awesome rehearsal dinner for 80 at Acadiana. Couldn't have been happier with how it turned out and it was an easy walk to Chinatown afterward for drinks.